Need a solid border or just cutting marks? Tape Label Studio brings various default border styles that you can use in any edition. Border styles help cutting your labels – choose from solid, dashed or dotted styles. You can even choose to use no border style at all; in case you have pre-cutted labels. You can also choose to create or customize your own border styles using the Border Styles Editor. This great tool helps changing any aspect of the border styles used in your labels. Once created, you can always re-use your styles. 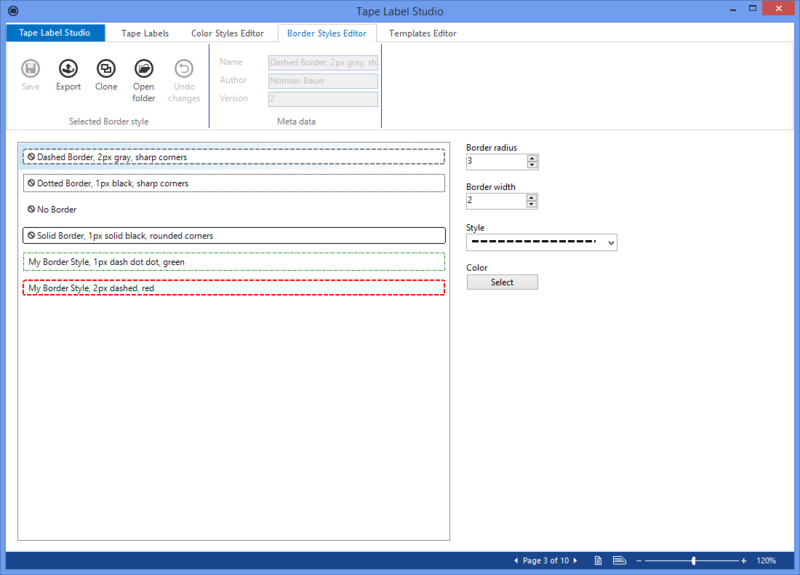 Border Styles Editor is included in the Professional and Enterprise editions of Tape Label Studio. Customize label colors or even label templates.